I've said it many times before, I'm an iThoughts fan-boy. Now it's available for Windows too and there's a 70% discount for Mac users and a 20% discount for iOS users. It's normally $50, which is a good price for a great app, but you can get it for $15 if you already own a license. That's an incredible deal. My thanks to Pagico for sponsoring Macdrifter this week. The new version looks fantastic. It looks so good that I'm running a longer than usual ad copy. Pagico runs on multiple platforms, makes reference material a core feature (like I do) and syncs everywhere. Evernote for Windows just received a significant update that brings it into parity with the Mac version. 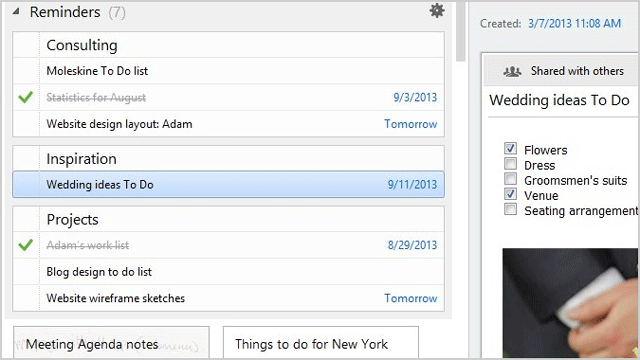 The new version 5 now supports reminders, shortcuts, related notes and improved search. Not to mention the entire app is much nicer to look at. Scapple is a basic context mapping app for the Mac. Now there's a Windows version. I don't really use Scapple on my Mac but multi-platform support is compelling. Besides, it's from Literature and Latte, the makers of Scrivener. I'll buy everything they make. A nice look at Scrivener for Windows by someone with a background to say meaningful things about it. It's Windows only, but KnowsyNotes looks interesting. The ability to edit CSV data like it was Markdown is insanely awesome. I'd love to see it add the option to edit the CSV data as a Markdown section.